Today’s paper piecing block is a tiny bit different. 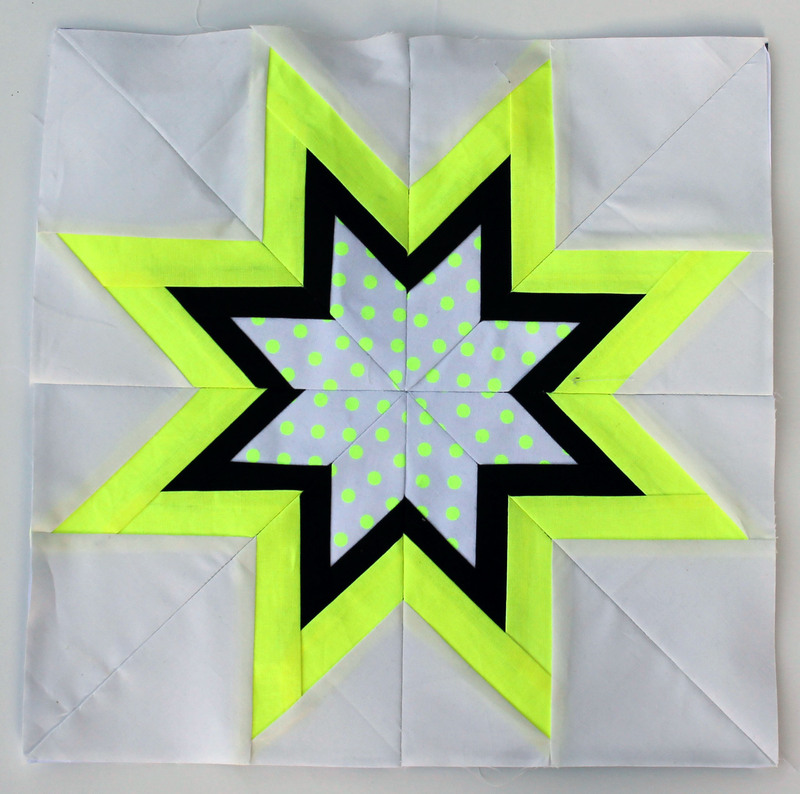 At last month’s Portland Modern Quilting Guild we were given a sampling of Michael Miller’s fabulous new Neon range. It was love at first sight. The fabric came with the challenge to make a 12 1/2 block or a sewn item out of just the Neon line and Couture cotton bits we were given. After pre-washing the solid fabrics I lay out my Neon bits and played. I do not usually wash my fabric before I use it, but the intensity of the dye to get the neon colours means that pre-washing is a necessity for the solids in this line. After lots of arranging and re-arranging I came up with this block. The pattern is the Connecticut star from Carol Doak’s “50 Fabulous Paper Pieced Stars” (my favorite book at the moment but I promise I will move on soon!). I played with the pattern in the book a little, to get the effect I wanted. I am relishing the freedom that these paper piecing patterns encourage. I have such fond memories of the 1980’s, they were pretty good years for me, bad hair and questionable dress sense aside. I swear I had a shirt back then that was in the same fabric as the center part of the star! 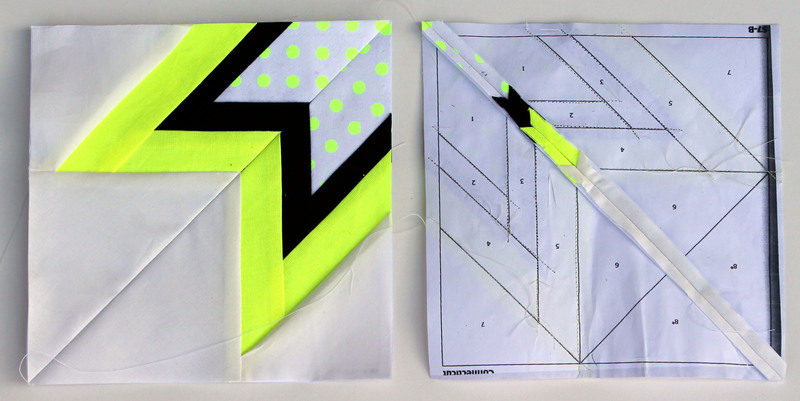 I had so much fun with this fabric line that I just ordered more Neon from Fabric.com. Please don’t tell my husband! Love it! Carol is one of my favorite teachers and has some really great techniques for paper piecing. She is really fabulous. My main go to person for paper piecing patterns.